The Adventure cycling is one of the recent additions on the portfolio of Uganda Safari products that allow the visitors and the residents to undertake the exploration of various parts of Kampala city. The second edition of this cycling Adventure in Kampala was launched of recent at Uganda Tourism Board Offices by the new State Minister for Tourism Godfrey Kiwanda. The Minister highlighted the fact that Uganda tours are not about traveling to protected areas but Kampala is as well a rewarding destination and cycling is one of those avenues through which the city can be explored. The Cycling event which is slated to occur on 14th August welcomes everyone male and female, young and old, resident and foreign including those on safaris in Uganda to engage fully in this annual adventure experience. The activity is being arranged under the Public Private Partnership and the returns generated from the event will go for a social cause – Skilling of Children born in the Prison’s of Kampala including training them as guides in Kampala. Kampala Capital is recognized to pull millions of travelers as it is the main start and end point for various Uganda safari tours. It is also a business center for the country and a range of business people from the region. The International events and conventions have found their way to the big hotels in town while humanitarian agencies and all volunteer groups spend a couple of days in Kampala before proceeding to their operational areas. Therefore, training of this target group as guides would definitely increase their employability and also close the guiding gap that could be existing in Kampala. 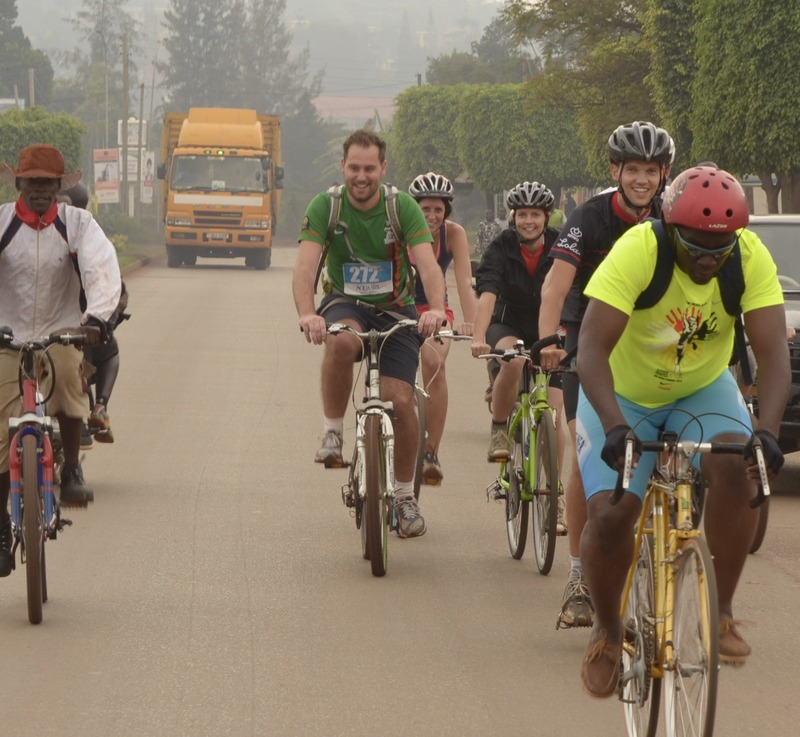 The 2016 Cycling Adventure in Kampala will include corporate personalities, families, Uganda safari tour undertakers along with well-wishers and the encounter will feature a cycle treasure hunt where a document will be given to the participants with clues to treasure chest which will incorporate a myriad of prizes and the treasure will involve a range of tourist sites and answering questions about them. The first edition of the Kampala Adventure Cycling encounter pulled a count of 280 resident riders, twenty (20) foreign riders exploring the 25km and 12km race categories. The sponsors of the event include; KCCA, UgandaTourism Board, Brussels Airline, Observer Newspaper, Nakumatt among others.